Eighty-seven Chinese cities will begin releasing hourly updates on air quality from New Year's Day, taking the total number doing so to 161, the Ministry of Environmental Protection announced. Data will be collected from 449 monitoring stations across the Beijing-Tianjin-Hebei area, the Yangtze River Delta and the Pearl River Delta. The stations have been upgraded to provide real-time updates on levels of sulfur dioxide, carbon monoxide and PM2.5 — particles smaller than 2.5 microns in diameter that can damage the lungs — in accordance with China's improved air quality standards. The move is a welcome response to complaints by experts and citizens about pollution, ministry spokesman Tao Detian said. He said the authority has promised to release hourly air quality data in 338 cities from 1,436 monitoring stations by the end of 2015. The public can access the data via the China National Environmental Monitoring Center's website — cnemc.cn — or on television and radio. China has invested 440 million yuan ($72.6 million) to set up monitoring stations, according to the Ministry of Environmental Protection. Luo Yi, director of the ministry's monitoring department, said the government is paying close attention to the accuracy and objectivity of the data, and he assured that workers found altering data will be held responsible. Zhu Jianping, the department's deputy director, said monitoring air quality will help China to come up with targeted policies to combat pollution, a top concern among Chinese and expatriates. The effective detection and analysis of data means a more direct approach, he said, adding that 25 cities have already carried out pollution-source studies. 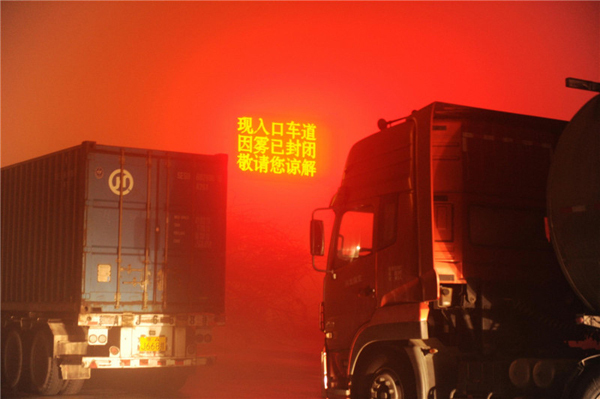 "However, a monitoring study needs to be conducted at a suitable place, not at a roadside with intensive vehicle exhaust emissions nor in a forest park," Zhu said. "Monitoring should also last for at least a year, covering all four seasons." According to a report released on Monday by the Chinese Academy of Sciences, secondary inorganic aerosols — a fine, solid particle comprising sulfate and nitrate that is a result of a photochemical reaction — is responsible for 26 percent of Beijing's PM2.5. Industrial pollution accounts for 25 percent, burning coal 18 percent, and dust 15 percent. Vehicle emissions account for about 4 percent, the report said. The report suggests the city should improve its energy structure and engage in regional cooperation to further reduce pollution.